One of the best ways to know a place by heart, is to taste the unique delicacies it offers. Food provides tourists a glimpse of a place’s history and its people’s ways of life. In Portugal, one of the famous delicacies that tourists should not miss is Pasteis de Belem that can be found in Lisbon. Also known as Pasteis de Nata or Portuguese Custards (a more generic name), Pasteis de Belem is a kind of egg tart pastry that is famous for its authentic Portuguese taste. 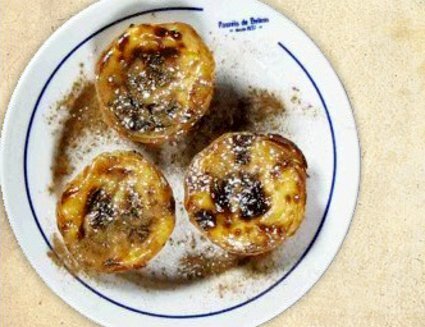 Because this recipe has been kept in much secrecy throughout history, the best place where tourists can enjoy its true flavor is still in Lisbon, in the confectionary that first started selling in the 19th century. The Pasteis de Belem recipe was created by two Catholic nuns in the Mosteiro dos Jeronimos and the delicacy was first served only in monasteries until 1837, when several priests decided to establish Casa Pasteis de Belem, the very first bakeshop to sell the pastry. The bakeshop was built to bring profits to support the monastery and it almost instantly boomed due to its location. 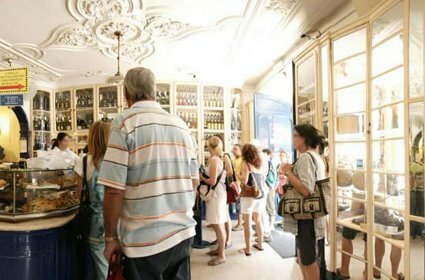 Being close to a port, the shop was easily accessed by travelers and visitors, thus quickly spreading its popularity. What might interest tourists today is that this bakeshop is still open, is called Antiga Confeitaria de Belem and can be found right across the street from the famous Mosteiro dos Jeronimos, in Lisbon. The Confeitaria (Confectionary, in english) continues to produce the goodies, while the authentic Pasteis de Belem recipe is still kept in secret up until today. Throughout the years, many pastelarias (bakeshops) and padarias (bakeries) across Portugal tried to produce a similar tart with a few different methods, but these imitations are commonly known as Pasteis de Nata (Portuguese Custards). Today, one of the most common methods of baking Pasteis de Nata is creating the pastries inside a bainmarie or a bowl of boiling hot water, instead of the conventional method of mixing all the ingredients together in a large saucepan. 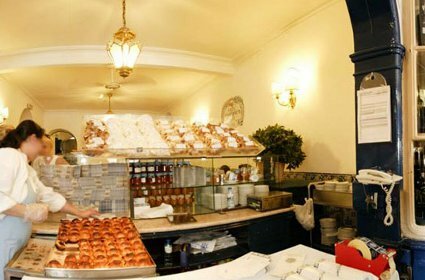 While the pastry produced by most bakeries today, tastes very good, the original is only found in Antiga Confeitaria de Belem (also known as Casa Pasteis de Belem) and there is still no better place for tourists to enjoy the authentic taste of the pastry than there, where it was first introduced to the public. 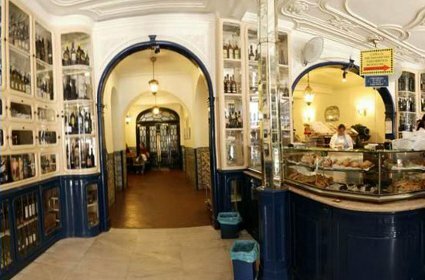 The Antiga Confeitaria de Belem can be found next to Mosteiro dos Jeronimos, in Rua de Belem nº 84-88 and is surely a must-do visit for tourists to complete their Portuguese experience.